How to Remove Virus from Mac? Mac malware does exist even though it is very rare. Recently, there have been a few notable malware and virus reports although a huge difference compared to Microsoft Windows is that there has never been a Mac malware epidemic. However, this does not mean that Mac has not come under spotlight for virus and malware creators. There are indeed people who still see Macs, including their users, as key targets. Let’s see how to stay safe and get rid of the viruses and malware these people try to dump on your Mac. Here are some of the symptoms of viruses and malware that you could encounter in your Mac. Going to your favorite sites does not always work, and this appears as if something is haphazardly redirecting you to spam advertising pages. Advertising windows pop up on your desktop, apparently unconnected with any browsing you are doing or any program that is running. You find there is a new toolbar in your browser that was not installed by you. These toolbars usually claim to make it easier to shop or search. You discover any web searches are unexpectedly redirected away from your usual search engine to another site you have never heard of, in other words, the results appear in a page that is faked up to look like your usual search engine. You don’t have to panic if you come across these symptoms as they do not always mean as if there is a malware or virus infection in your Mac. If your Mac has been infected, you should never Google a description of the problem and install the very first thing you spot that guarantees to be able to fix things. Unfortunately, a lot of software that in fact claims to be capable of fixing Macs is in fact malware itself, or is just fake and designed only to make you spend too much of your money. The bad people behind this software actually manipulate Google’s search results such that it appears at the top, enabling their apps to look unbelievably convincing and also professional. Going forward do not type any passwords or login details just in case a hidden keylogger is running. This is a very common component within malware. You need to be aware that several keylogger-based malware or viruses also periodically secretly take screenshots, hence you need to be careful not to expose any passwords by copying and pasting from a document, for instance, or by clicking the Show Password box that at times appears within dialog boxes. If you surely know that you have installed some malware, then quit out of that app by tapping Cmd + Q, or clicking Quit in the menu after making a note of its name. Open Activity Monitor in the Utilities folder of the Applications list. Use the search field at the top right to search for the app’s name. You may find that it is in fact still running, even though you have quit it, thus go ahead and select it in the list and click the X icon at the top left of the toolbar and select Force Quit. It should also be noted that most malware authors are wise to this and will inded modify their code so that it employs non-obvious names, which makes it almost impossible to uncover this manner. Change all your passwords once you are sure the infection has been cleaned up. You will have to change passwords even for websites, apps, cloud services, and so on. Wondering how to proceed, you will have to inform your bank or financial institutions of the infection and get their advice. At the very least they mostly make a note on your account for operatives to be extra vigilant if in case anybody tries to access it in future, or you could be issued with new details. As frequently as possible you should try and turn off your internet connection by either disconnecting the Ethernet cable if you are using a wired network, or clicking the Wi-Fi icon in the menu back and then selecting Turn Wi-Fi Off. Try to keep your internet connection turned off until the point when you are sure that the infection has been cleaned up. This indeed will prevent any more of your data being sent to a malware server. If situations where you cannot restore from a backup, open the Mac App Store and download the free-of-charge Bitdefender Virus Scanner. After it gets downloaded and installed, open the app and click the Update Definitions button, then click the Deep Scan button. Finally, you will have to follow the instructions to permit the app full access to your Mac’s hard disk. You will have to delete a particular app or file permanently if you are sure that your Mac was infected after opening that particular app or file. Do this by putting it into the Trash, and then emptying the Trash. If you had carried out an online payment for the malware, which you believed is a legitimate antivirus app, then you will have to immediately contact your bank or credit card company and explain the situation to them. Do this not to get a refund, though it could be possible, but mostly to ensure that your credit card details are are misused. Under the assumption that you have not been able to restore from a backup and have had to scan your Mac with the help of Bitdefender, you should also make sure to clear your browser’s cache. In Safari this is possible by clicking Safari > Clear History, and then selecting All History from the dropdown list. Then click the Clear History button. In Google Chrome this can be carried out by clicking Chrome > Clear Browsing Data, then in the Time Range dropdown box selecting All Time. Then click Clear Data. You can drag everything to the Trash, and then empty the Trash. You may have to completely reinstall macOS and your apps from scratch after wiping the hard disk as this could at times be the only way to guarantee that you are clean of an infection. You can also instantly shut down your Mac and then restore from a recent backup, such as one developed with Time Machine. Evidently, this backup should be from a time before you assume your computer got infected. After backup restoration, be careful when rebooting not to plug in any removable storage or to open the same dodgy email, app or file. You will have to scan removable storage devices through an antivirus app on a Windows computer in order to remove the Mac malware – even though it is Mac malware, it will still be detected by antivirus apps running on other platforms. 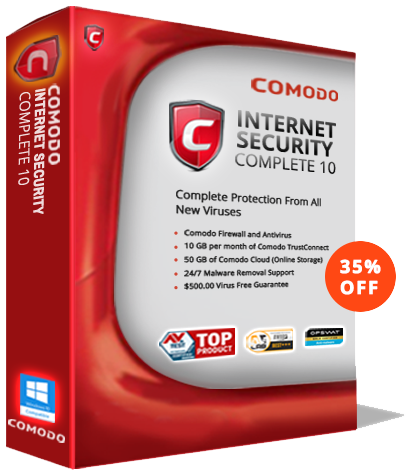 Thus, to protect your Mac and ensure that you have executed an efficient virus removal procedure you can use the above mentioned steps and also install the best Mac antivirus software offered by Comodo. Available with a constantly updated database of known viruses and an on-demand scanner, Comodo Antivirus offers the best protection against zero-day malware.